ABIDJAN, Ivory Coast, February 5, 2019/ — “The future of our continent is looking very promising indeed,” African Development Bank Group (www.AfDB.org) President Akinwumi Adesina declared in the opening words of his address to diplomats at a lunch organised today, Tuesday, in Abidjan. 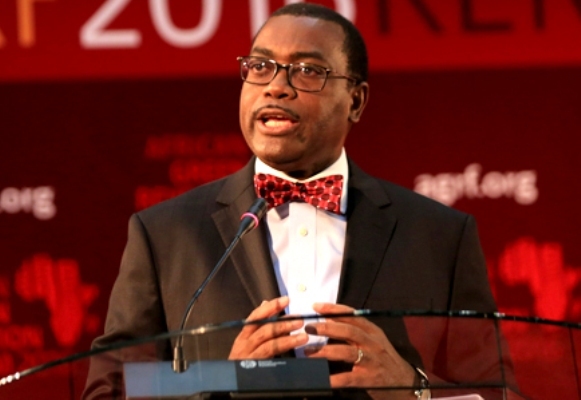 Adesina referred to the Bank’s recent flagship publication, the African Economic Outlook 2019 (https://bit.ly/2yXn4pr), which noted that the recovery in commodity prices is driving domestic demand and infrastructure investment, while real Africa’s GDP continued to improve in 2018 to 4.1%. The Bank expects growth of 4% this year and 4.1% in 2020. Economic opportunities in Africa are generating considerable interest globally. For example, the agreement in March 2018 establishing the African Continental Free Trade Area (AfCFTA) will create the largest free trade area in the world. The CFTA will provide an unprecedented framework with the capacity to increase trade by at least 100% in Africa. “The African Development Bank is at the centre of the actions taken to ensure the success of the continental free-trade area. We have invested over one billion dollars to support the financing of trade in Africa,” Adesina said. The Bank, whose triple-A rating with stable outlook has been reconfirmed by the four major global rating agencies, has also invested $1 billion in Afreximbank, including $650 million in credit lines for trade finance and $350 million in insurance. The free movement of people on the continent is another important driver of development. “We need to break down all barriers that impede the free movement of people across the continent, especially that of workers, because this is vital for promoting investment,” Adesina said. In its report on intra-African investment (https://bit.ly/2zvCvYC), the African Development Bank emphasised the significant increase incross-border investments – $12 billion last year, up from $2 billion in 2010. Under the G20 Compact with Africa, the Bank has worked with the World Bank and the IMF to provide assistance to African countries, particularly to improve company regulations and the business environment. “Africa will not develop through aid, but through investment”, said Adesina. This is whythe African Development Bank, with its partners, launched the highly successful Africa Investment Forum (AIF) (https://AfricaInvestmentForum.com), in Johannesburg, South Africa last November, securing investment interest in 49 deals across Africa worth over $38 billion in just two days. The African Development Bank continues to invest in infrastructure to connect countries and improve their competitiveness. It has provided $16 million to the Economic Community of West African States (ECOWAS) for the preparation of feasibility studies for the Lagos-Abidjan corridor. It has also funded 1000 kilometres of road between Addis Ababa and Mombasa, which has increased trade fivefold between Ethiopia and Kenya (https://bit.ly/2DUkzZT). The Bank was the lead lender for the construction of the historic Senegambia bridge linking Gambia and Senegal (https://bit.ly/2HTYIG4), which opened on 21 January 2019. And the Bank’s investment portfolio in Côte d’Ivoire has tripled in the last three years, reaching $1.8 billion in 2018. The Bank is taking a lead role in the “Technologies for African Agricultural Transformation” (TAAT) initiative, which seeks to accelerate the dissemination of agricultural technologies throughout the continent, not only to improve yields, but also to fight against the consequences of global warming and against pests, such as Fall Armyworm. “The crucial point for the economic development of Africa is that we have to radically transform our agriculture,” Adesina declared. The Bank’s High 5( https://www.AfDB.org/en/the-high-5/) priorities are already producing significant impacts across the continent,” said the Bank’s President.In 2018, 4.5 million people were connected to electrical grids.Nearly 20 million more people have access to improved agricultural technologies.Industrial investments in the private sector have benefited 1.1 million people.Some 14 million people have gained access to improved transport services, while another 8 million people have benefited from better access to water and sanitation.These impacts encourage the Bank to redouble its support for economic and social development in Africa. “We need to achieve universal access to electricity. We need to help Africa to become self-sufficient in food. We need to achieve a fully integrated continent. We need to industrialize Africa and improve the quality of life for its people,” Adesina concluded. I want to take a moment to thank all of the amazing guest I have had the privilege to share in their stories this month on #AnnaLive, a show committed to elevating, educating and inspiring next gen entrepreneurs by promoting their brilliance and allowing them to promote themselves. Friday is our final show to round off celebrating Women’s Month. Last week I interviewed Inyang Sammie-Orungbe from Lagos, Nigeria and our in studio guest Emra Smith, CEO, International School of Story. Check out their stories on last week’s show. While doing on the street interviews and speaking with women and men of varying ages I learned many weren’t even aware that it was women’s month, and I am making a personal commitment during this month each year to highlight women and their dreams. To wrap up International Women’s Month we are going to complete this week with our #WatchHerRise entrepreneur series feature with a very special young woman who I adore and am super proud of, Daryl McCoy Chard, my bonus daughter and my co-host this week. She is smart, funny, vision-oriented and what I love most is she is compassionate, concerned and is quick to serve her community. She has taught me so much over the years, her wisdom is ancient and her energy is contagious. Join us on Friday at 10am CST, broadcasting live on Facebook. This week, Episode 8 Bridging the Gap, is all about how Millennials and Baby Boomers can learn from each other, collaborate for greater insight and dialogue about the challenges and opportunities of the entrepreneurial journey. The ability to take more control of your life. A unique sense of job security as you learn to trust yourself, your ideas, and your capabilities. The chance to break down externally-imposed constraints to pursue non-traditional paths. The opportunity to dismantle corporate hierarchies. Freedom to re-negotiate your reality. The chance to create your own flair. The resources to make a difference in the world and give back on your terms. Working with this group on producing Anna Live, I am appreciating how they focus on the outcome rather than being bogged down by systems and structures (not to mention their ability to do everything on that phone, i.e. walking, talking, laughing and multi-tasking!) I am leaning heavily toward adopting this Millennial heart in so many ways too (except multi-tasking, that drives me nuts although I am guilty.) I too, like them, want to be free, I want to travel, I want to be nimble and agile to adapt to what comes my way too and I can see the beauty in a mindset that simplifies abundance rather than strive for it. Check out this clip, it’s a hoot and a holler, I am learning, people! Linda Wallace, my BFF, Emra Smith and I decode the Millennial lingo! Prepare yourself! I am elated to hear from two young women of this rising generation as well as some individuals we met on the street interviewing about their awareness on women’s month and their entrepreneurial ideas. Daryl McCoy Chard is the Vice President of UrbanAmerica, a real estate development entity, which as a result of concentrating its efforts in urban markets, has invested in over $2 billion of real estate and created more than 27,000 jobs for residents of low income communities. UrbanAmerica’s notable list of investors includes the nation’s largest public and private pension funds and top banks and insurance companies. She is also an active Realtor with Berkshire Hathaway Home Services. One of her passion projects is helping returning citizens find quality housing and is a criminal justice reform advocate and activist. A passion for fighting injustice fuels all that she pursues professionally and personally. In 1987 Baby Boom the movie starring Diane Keaton, hit the big screen and one of my favorites scenes was her character, a New York Executive, brought her niece home after her parents were killed in an accident, she was clueless about what to feed a toddler and ended up with spaghetti all over the walls. So spoiler alert for those who haven’t seen it, Diane’s character built an empire selling baby food. If you have a chance to watch it is a great movie showing the #BabyBoomers introducing the “off ramp” culture for women exiting that corporate environment right at the time the Millennial’s were coming into being! Meet the #Millennial who is about to be a repeat of this inspiring movie, she is the founder of Rooted Baby, Brook Cobourn. Rooted Baby was founded in 2017 as an answer to the need for healthier, convenient baby food options. After researching how baby food could be shelf-stable for so long and what it does to the quality of the food it became evident that a solution was needed. Not only does the processing remove nutrients but there are few options on the shelf that are low in fruit sugar. By partnering with local farms for our produce we are using the freshest ingredients because they are harvested right before they are whipped into your little ones meal. Furthermore, research shows that taste buds are developed and the all-vegetable options lacked flavor. No wonder it’s so hard to get kids to eat their veggies! With all the info discovered, combining education through the Institute of Integrative Nutrition, research, consulting experts and making all her son’s baby food, Brooke Cobourn founded @RootedBaby. Did I say, I am super excited to meet this woman. You must check out her IG @rooted_baby, baby or not, you are going to salivate looking at these pictures, baby food should be good! Just for fun check out this clip on #lifeswap with #strahanandsara and you will understand how #dope and necessary Brooke’s #babyfood really is! Enjoy! Share your thoughts on how we can bridge the gap between the generations and collaborate for a better future for all. Children are like diamonds. It is entirely up to us to make them shine or not. If we cannot help them shine, then at least we can help them not to break. In this article, we will go through the 7 essentials of child abuse that every adult needs to be aware of to keep children safe. 1- What age range do children fall under? The United Nations Convention on the Rights of the Child (UNCRC) defines a “child” as a person below the age of 18, unless the laws of a particular country set the legal age for adulthood younger. The Committee on the Rights of the Child, the monitoring body for the Convention, has encouraged States to review the age of majority if it is set below 18 and to increase the level of protection for all children under 18. 2- What is child abuse? Child abuse is any action by another person (adult or child) that causes significant harm to a child. The World Health Organization distinguishes four types of child abuse: physical, sexual, emotional and neglect. Physical abuse means hitting, beating, and shaking. Sexual abuse means sexual contact or exposure to sexual acts or materials. Emotional or psychological abuse means threatening, insulting, ridiculing, or confining. Neglect means failing, despite having the means, to provide medical care, education, shelter or other essentials for a child’s healthy development. An abused child will often experience more than one type of abuse, as well as other difficulties in their lives. It often happens over a period of time, rather than being a one-off event. And it can increasingly happen online. 5 children die every day because of child abuse. 1 billion children aged 2–17 years, have experienced physical, sexual, emotional violence or neglect in 2017. 1 in 4 adults were physically abused as children. 23% of the children were physically abused. 36% of the children were emotionally abused. 16% of the children were neglected. 18% girls and 8% boys were sexually abused. 90% of abused children know their abuser. Only 10% of child abuse victims disclose their story out of fear. Every year, about 41,000 children under 15 years are victims of homicide. Research shows that children with disabilities are four times more likely to suffer from abuse or neglect. 4- What increases the risks of child abuse? Suffered abuse or neglect as children. Are involved in other forms of violence, such as intimate partner violence. Lack support services for families. Have high tolerance for violence. Don’t have adequate legislation to address child abuse. Have cultural norms that promote or glorify violence. Have social, economic, and health policies that lead to poor living standards or socio-economic inequality. Perpetrating or being a victim of violence. High-risk sexual behaviours and unintended pregnancies. Harmful use of tobacco, drugs, and alcohol. Studies show that child abuse has high economic costs — in medical expenses, legal costs, and lost productivity. Child abuse can actually slow a country’s economic and social development. 6- How can we identify a child abuse case? 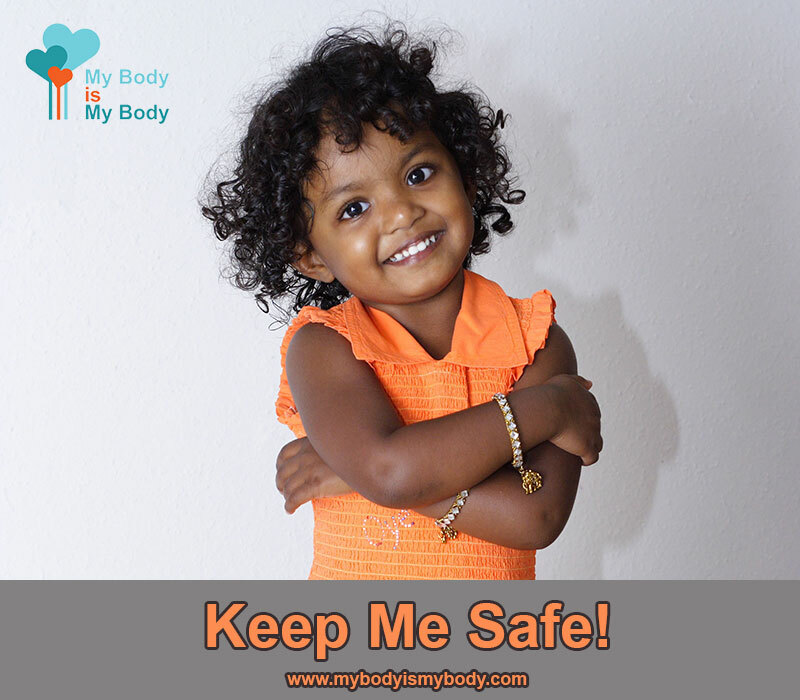 The appearance and behaviour of a child define the abuse type children are being exposed to. Some of physical abuse appearance signs are bite marks, burns, frequent injuries, and/or wearing long sleeves to cover them. Children suffering physical abuse are usually shy, hard to get along with, avoidant, anxious, and/or afraid of parents. Some of sexual abuse appearance signs are torn, stained or bloody clothes, and pain or itching in genital areas. Children suffering sexual abuse have inappropriate sexual touching of other children, extreme reluctance to be touched in any way, abrupt change in behaviour, and/or sexual behaviour or knowledge that is inappropriate for the child’s age group. Emotional abuse behaviour signs are more obvious than appearance signs. Some of them are withdrawal from friends and social activities, frequent lateness or absence from school, loss of self esteem, defiant behaviour, and/or changes in school performance. Some of neglect appearance signs are poor hygiene, dirty hair, body odour, clothes inappropriate for the weather, and/or in need of medical or dental care. Children suffering neglect are often tired, have no energy, lethargic, and/or beg or steal food. 7- How can we prevent child abuse? 1- Raise awareness of parents and caregivers regarding child development and healthy positive strategies for raising children. 2- Educate and train children to improve their knowledge of abusive situations and teach them social skills to protect themselves and to interact in positive ways. 3- Promote norms and values that support pro-social and non-violent behaviour. 4- Strengthen income and economic interventions to increase investments in children. 5- Respond and support services to help children that have been exposed to violence. 6- Create and sustain safe environments for children. 7- Implement and enforce laws, such as laws banning violent punishment of children by parents, teachers or other caregivers. 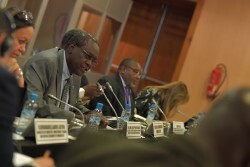 MARRAKESH, Morocco, March 24, 2019/ — The African Continental Free Trade Area (AfCFTA) marks a momentous milestone for Africa but preliminary findings of the upcoming 2019 African Regional Integration Index, released at the on-going Conference of Ministers in Morocco on Saturday, indicate that regional integration in Africa remains low. The Index, known as ARII, was set up to monitor and evaluate the status of economic integration among African countries and provides a basis for member States to track their progress. The findings reveal that the Southern African Development Community (SADC) is the most integrated region in terms of trade, with South Africa as the most integrated country on the continent. In the five areas that were analysed – trade integration, regional infrastructure, productive integration, free movement of people and macroeconomic integration – South Africa topped the ranking; with South Sudan as the least integrated mainly because of its modest performance in regional infrastructure and financial integration. Meanwhile, integration in services, contributed more than 53% of the continent’s GDP, but ratification of the protocol on the free movement of people has been slow, despite the 2016 launch of the Common Electronic Biometric African Passport, and the AU Protocol on Free Movement of Persons. The Continent’s large infrastructure deficit remains a major hindrance to intra-regional trade. “It is up to Africans themselves to ensure that the initiative benefits them through hard work and efficient implementation of the mechanisms of the CFTA,” says David Luke, Co-ordinator of the African Trade Policy Centre, Regional Integration and Trade Division of Economic Commission of Africa (ECA) (www.UNECA.org). The final ARII and the accompanying Assessing Regional Integration in Africa IX Report will be released later in the year. United Nations Economic Commission for Africa (ECA).